Bingeing On Books: Chocolate Book Tag! I saw Lois from You, Me, and a Cup of Tea do this tag and it looked like a lot of fun! 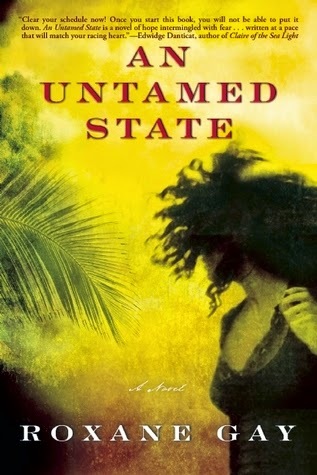 One of my favorites is An Untamed State by Roxane Gay. A woman gets kidnapped in Haiti and is held captive for three days. During this time, she suffers unspeakable torment from her captors. The tales of her captivity were hard to read, as was her experience of trying to survive her attack. It is not an easy book to read, but the writing was so raw and the story was so gripping. It was one of my favorite reads last year. Such an amazing book! Hmm, I think the most recent book that was humorous and light was Charlotte's Web. Tell me, how I have I not read this book until this year?? The Lunar Chronicles series . . . I know, I know. Why have I not read these books yet?? I will soon, I promise! So many books, so little time. 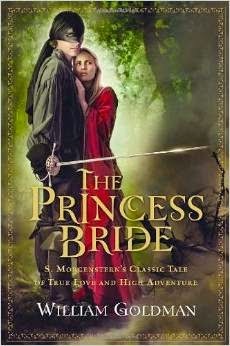 There have been several books like this, but the most recent one was The Princess Bride. I am not ashamed to admit that I swooned more than once. "Do I love you? My God, if your love were a grain of sand, mine would be a universe of beaches." "I have not known a moment in years when the sight of you did not send my heart careening against my rib cage. I have not known a night when your visage did not accompany me to sleep. There has not been a morning when you did not flutter behind my waking eyelids . . . Is any of this getting through to you, Buttercup, or do you want me to go on for a while?" How can you not feel all gooey after reading that? I guess that would be If You Find This Letter by Hannah Brencher. I am not usually a fan of nonfiction. I was surprised at how moving this memoir was. This is the only memoir that I am confident I will read again in the future because I loved it that much. I go nuts about a LOT of books. 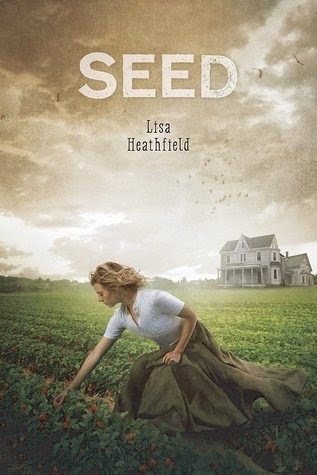 I don't want to repeat myself with The Princess Bride (though I am going nuts about that one), so I will mention another recent one that I loved: Seed by Lisa Heathfield. That was such a great book! I don't reread books too often simply because there isn't enough time. But I do reread poems by Shel Silverstein in Where the Sidewalk Ends quite often. I refuse to admit these poems are primarily for children. They are so funny and inspiring as well. Well I can't really think of a series that has something for everyone so I will just mention a stand alone: The Princess Bride. Yes, I know I am repeating myself yet again. It has everything: romance, mystery, adventure, sword fights. How could you not love this book? Now if you will excuse me, I am craving chocolate. Feel free to let me know any books that may fit into these categories for you in the comments below. Ha, you are right Lois. I guess when I think about Charlotte's Web I think if the fun characters and try to block out the tragic ending. :) I just read it for the first time this year and there were many times I laughed at some of the animals' antics. This is a fun tag and I had fun reading it!! Yes, I'm craving chocolate right now, thank you very much!! The books sound like fun ones to read... I have An Untamed State by Roxane Gay in my 'TBR' to read at some point. Thanks Captivated Reader! I hope you get a chance to read An Untamed State soon. It is so great! You just this year read Charlotte's Web? That was one of my all time favorite books when I was in grade school! Now I really want to read Princess Bride(and eat chocolate) is it that swoony? This looks like such a yummy...er, I mean fun, tag! Shay, that doesn't sound swoony at all! I had too much chocolate the day I wrote this post because it inspired such a craving. Ha. I can't believe I never read Charlotte's Web before either. Talk about a deprived childhood! I really hope you get to The Princess bride soon. It was so amazing! Top Ten Tuesday - My TBR List Hates Me!! Musing Mondays - Would You Rather? Top Ten Tuesday - Top Books From My Childhood! BOOK REVIEW: Alias Grace by Margaret Atwood.